Dinah is the West Regional Director for EL Education (formerly Expeditionary Learning) supporting a network of 32 schools across 6 states. EL Education is a K-12 non-profit organization partnered with more than 150 schools, serving 4,000 teachers and 53,000 students in 31 states. Closing the opportunity gap has been the primary driver in Dinah's 18 years in education. Prior to her current role, Dinah was a School Designer with EL Education where she focused on coaching school leaders and teachers on best practices within EL’s three dimensions of student achievement: culture & character, student mastery of skills and knowledge, and high quality student work. Dinah has served in various leadership capacities for districts, schools and non-profits. 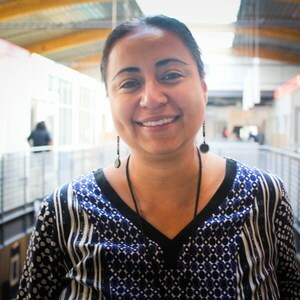 She has worked with districts in California and Hawai'i advocating for Black and Latino youth impacted by the opportunity gap. 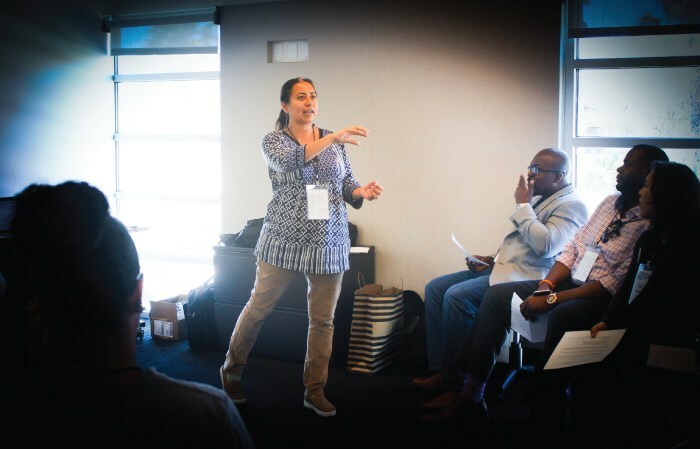 Her focus was on examining the systems that lead to educational inequities by uncovering data and convening focus groups to gain an understanding of equity and access across the instructional program. Her previous roles have been: a school turnaround consultant, a high school Principal, and an Executive Director family/community engagement. She began her career as an English/Film/Humanities teacher in the Los Angeles Unified School District. She deeply believes in the capacity of all students to learn and has created innovative programs for youth aimed at closing the opportunity gap using: technology, music, and film to name a few. Dinah’s passion for deeper learning was ignited by attending public high school at the prestigious Illinois Math & Science Academy. Unlike her prior experiences in Chicago public schools, IMSA provided learning opportunities full of imagination and inquiry. She learned and lived the power of project based learning rooted in collaboratively solving real-world problems through joy, rigor, and grit. It was this foundational experience that made her want to bring this revolutionary learning to other poor, urban, students of color. She graduated with honors in English & Comparative Literary Studies from Occidental College. She holds master's degrees from Claremont Graduate University in Secondary Teacher Education and Principal Leadership from the University of California, Los Angeles. Outside of fighting for equity, Dinah delights in traveling the world with her family, swimming with her son, blogging, urban farming, hiking with her dog, appreciating everything mid-century modern, and being an all around weekend warrior at her home in Oakland, CA.